Established in the year 2000, we, S. G. Packaging & Coding Co., are considered to be one of the leading manufacturer and trader of a wide range of the optimum quality of Automatic Packaging Machines and Conveyors System. The product range offered by us is inclusive of Packing Machines, Conveyors System, Puff Extruder Machines, Filling Machines, Packaging Machine Spare Parts and Bucket Elevators, etc. By using advanced and sophisticated machinery, we have been able to manufacture the offered range of packaging machines and conveyors in compliance with the industry set norms, regulations, and guidelines. Owing to their easy operation, reduced vibration level, low noise, minimum maintenance cost, longer functional life and optimum performance, these packaging machines and conveyors are highly demanded in chemical, food processing, and pharmaceutical industries. Offered by us at industry leading prices, these packaging and conveyors can be customized as per the specifications provided by the customers. Our team comprises of engineers, quality control staff, skilled & semi-skilled workers, warehousing & packaging workers, sales & marketing professionals and other support staff. We work to attain maximum customer approval boasting on the skills and experience of our professionals. To enhance their skills, we provide them with regular training sessions through seminars and workshops. Mr. Mahendra Singh is our proprietor and he has helped us in attaining a huge clientele across the nation. 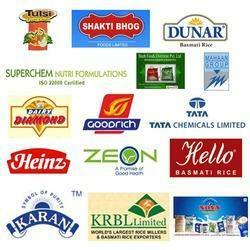 Some of our valuable customers associated with us over a long period of time are Mahaan Dairies Limited, Shakti Bhog Foods Ltd., and Heinz India Ltd.
Fair Way Trading Co. Pvt Ltd.
We have been backed and supported by a team of skilled and experienced professionals, who hold expertise in their area of work. Engineers, quality control staff, production managers, logistics professionals, procurement agents, skilled & semi-skilled workers, warehousing & packaging workers, sales & marketing professionals and other support staff, has helped us in catering to the precise needs of our valuable customers in the most efficient manner based on their skill, knowledge and experience. In addition to this, they are trained to enhance and polish their skills in the most efficient manner, through seminars and workshops. Owing to a long-term destination for our business, we are able to set-up a sophisticated manufacturing unit that is spread over a wide area and is well-equipped with the various high-tech machines and technologies. Our spacious manufacturing unit is segregated into different units, which helps in carrying out the entire business process in an efficient and smooth manner. Further, we upgrade the installed machines and technologies on regular basis to meet the higher production rate that enables us to satisfy various demands of our clients in the best possible manner. We have been able to cater to the precise needs of our valuable customers in the most efficient manner, owing to our high tech infrastructure and competent & efficient team. Timely delivery of the offered range of conveyors and packaging machines has helped us in winning the trust of our valuable customers. We have been able to manage bulk demands due to our rich vendor’s base, excellent storage facility, and large production capacity. Ethical policies and transparent dealings, has helped to attain maximum customer satisfaction. Being a reputed name, we believe in making a long-term association with our customers. For this, we follow customer-centric approach, moral business policies, and transparent transaction practices. Large production capacity has helped us in taking bulk orders and completing them within the stipulated time frame. The quality of the offered range of conveyors and packaging machines is never compromised at our end.